Larco Engineering supply, service and repair dock levellers and loading bay equipment throughout Ireland. Contact us today on +353 (0)21 2061406 for a solution to your problem. Innovative loading dock levellers supplied by Larco Engineering are engineered to keep freight moving quickly and safely between loading dock and trailer. The loading bay is a crucial element in the transportation of your goods and requires significant investment. Making the right decision at the outset can save your business money in the medium to long term. 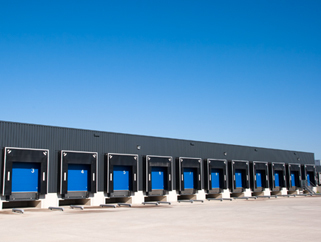 Larco Engineering can provide your company with efficient and cost effective loading bay systems for the longer term. We have a range of different dock leveller designs to choose from that can be tailored to the specific needs of our clients. Each dock leveller that Larco Engineering supplies is of the highest quality and fitted to the highest standards to deliver safety, dependability and durability. Whether it’s a mechanical, hydraulic or air powered dock leveller your business requires, Larco Engineering has a solution for your needs. We can also supply custom-made dock levellers with a telescopic lip or a swing lip. Contact us today for and we can advise on the best solution for your requirements. Larco Engineering supply, service and repair dock levellers and loading bay equipment throughout Ireland. You can read more about our dock leveller repairs service by viewing this information video. Larco Engineering are specialists in loading bay maintenance and our dock levellers are part of our extensive range of loading bay safety equipment, which also includes dock lights, dock seals, dock port, traffic lights, vehicle restraint systems and loading bay protections devices.